Here comes the Chief ready to battle the fire! 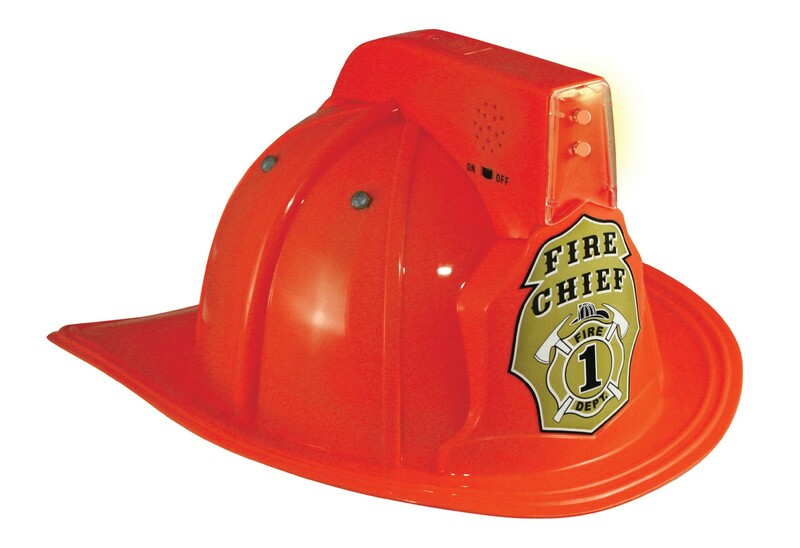 This Red Jr. Fire Chief helmet comes with lights and siren. 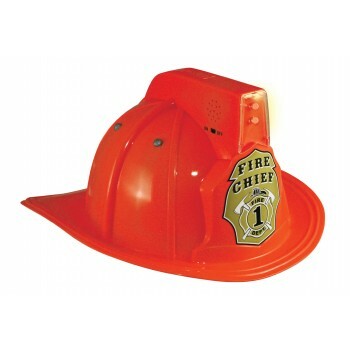 Made of durable plastic and has an adjustable chin strap. Recommended for ages 3 and up. (2) 1.5 V batteries required. Includes one helmet.